Sandals Negril Jamaica, of the resort chain Sandals Resort International, is set amidst a pristine tropical environment and offers one of the most luxurious accommodations in Jamaica. 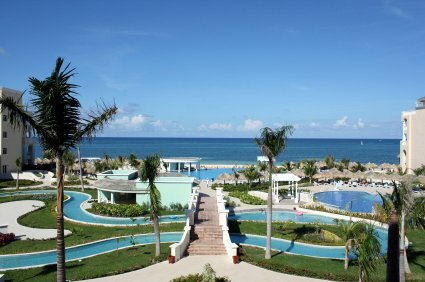 This all-inclusive resort packs the best that Jamaica is about... 1,800 feet of beautiful beaches with sand as white as powdered sugar, idyllic glimmering waters of the Caribbean sea, the exotic panoramic vistas and all the other attractions bringing out meaning to beauty. With the perfect laid back setting complimentary mingled with the elegant Caribbean, chic, Sandals Beach Resort and Spa is a pinnacle of elegance. Perfect for you looking to spend some of the most memorable moments of your lives. This beachfront resort has won the Green Globe Award, the Five Star Diamond Award and has been voted 'green hotel of the year' by the Caribbean Hotel Association, proving its commitment to nature and tranquility. With no building of the resort being taller than the tallest palm tree located on this property, Sandals Negril Jamaica, part of Negril beach Jamaica truly makes a statement about being Eco-friendly. Nestled on the western edge of Jamaica, Sandals Negril Jamaica is only forty-five miles away from the Sangster International Airport and is built on the longest and the best stretch of the infamous seven mile beach in Negril. This couple's only resort is an ideal place to experience enthralling water activities like snorkeling, water-skiing, windsurfing, canoeing, kayaking, sailing, scuba diving and riding aqua-trikes and Hobie cats. There are two very beautiful pools, steps away from the sea, and also one scuba pool and two whirlpools. Other activities include golf, table tennis, day/night tennis, beach volleyball, indoor racquet and squash, shuffleboards, a state of the art fitness center and a spa, featuring simple massages to full body treatments. Night life at Sandals Negril Hotels comes to life with a fiery sunset every evening. Couples can enjoy the rhythms of live reggae music and dance to Caribbean music at their night club. Plus there are such a variety of entertaining late night shows and performances, including karaoke that you will certainly enjoy yourself. The Luxury Included experience at Sandals Resorts are famous world over for their suited for a king luxury and accommodations. Sandals Negril stays true to this sentiment with a variety of exquisite accommodation choices, with true beachfront suites and rooms, each with its own benefits. 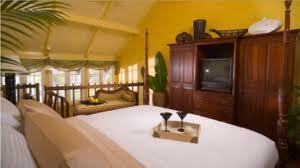 All rooms have four poster king size beds, telephone and internet services, private bath and shower. Pricing of the rooms and suites is subject to change in accordance with your specific time of vacation with low and high seasons. The categories include Luxury Rooms, (basic accommodation - starting from $189), Concierge Rooms (concierge service - starting from $272) and Butler Suites (private butler service - starting from $338). Offers you an elegant warmth of a private Jamaican plantation and an equally exquisite interior with first floor suites having their own private patio and pool. Two-story lofts with a bedroom and a living room. 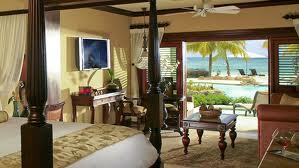 An entire wall of the loft can be opened to reveal beautiful views of the magnificent Caribbean Sea. You cannot go wrong in choosing such an accommodation that has space and privacy. Oceanfront swim-up style suites with an artistically designed pool area, only a few feet away from the sea. Serving also as entrance into the suite, in which trees are planted on patches of land gives you the feel of a heavenly oasis. Five bars including the swim-up bar at the pool, Piano Bar and the antipasti bars at the restaurants serve drinks from all over the world with a wide collection of exotic wines to open up your taste buds. These six scintillating restaurants, each with its own specialty and taste, offer the best dining experience you could wish for on your vacation. 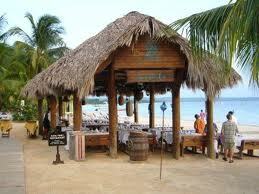 A casual setting, serving a variety of delicious sea food with a la carte menu with tables set at the beach. Italian specialty restaurant overlooking the ocean with a wide range of pastas and deserts, including Tiramisu. Japanese a la carte menu including the best sushi served in the area. 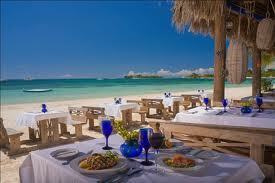 International cuisine with a beautiful view of the ocean. 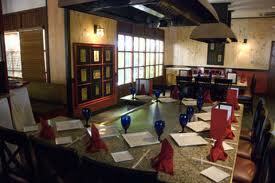 Exotic Jamaican food with an Asian touch and a la carte service. Comfort food is served here which include hamburgers, nachos, hot dogs, Jamaican patties, along with English tea, coffee and drinks. 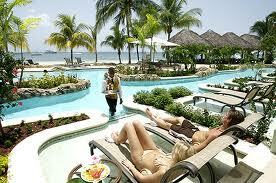 Sandals Resorts, part of the SuperClubs collection of hotels and resorts, have an unprecedented reputation. Sandals Negril Jamaica matches that with astounding beauty, elegance and style, while promising you seclusion, luxury, comfort, taste and a holiday experience of a lifetime. Definitely a jewel under the beautiful Jamaican starlit sky. This resort is a true haven for you visiting from around the world.